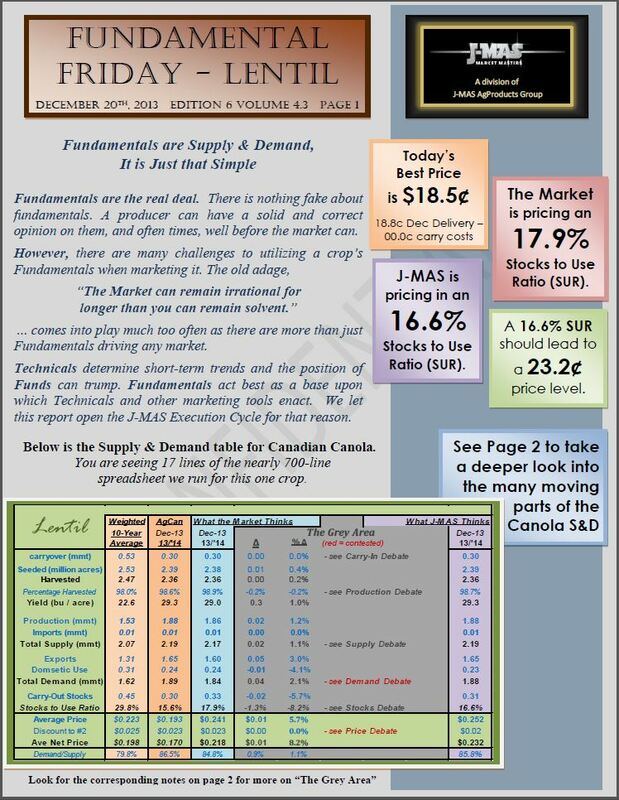 See the cover pages below or click the Fundamental Friday page for the high-resolution pdf version with all 6 pages including full Bull & Bear cases for reach crop. 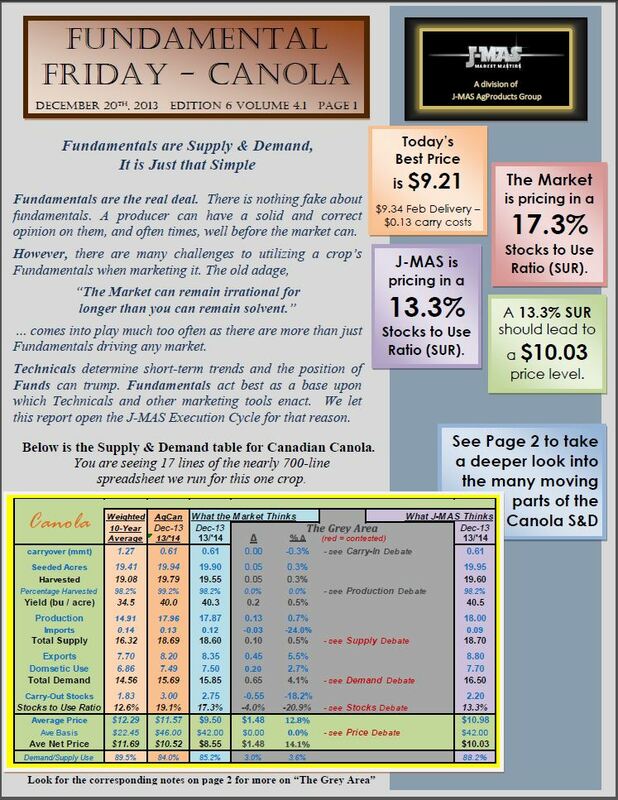 AgCanada was out today with their December report reflecting most current CGC inspection data and StatsCan report. As inspected big increases to yields which the market mostly saw coming since combines started rolling. The most notable thing to us was finally some confirmation of big Lentil exports and a move lower is carried stocks. With many looking to exit Lentil next year we believe our 25-30c Large Green Lentil thesis is sound for sometime in 2014. This was the first good signal we have seen but logistics could start to derail Lentil exports now if they haven’t already so we shall continue to watch. 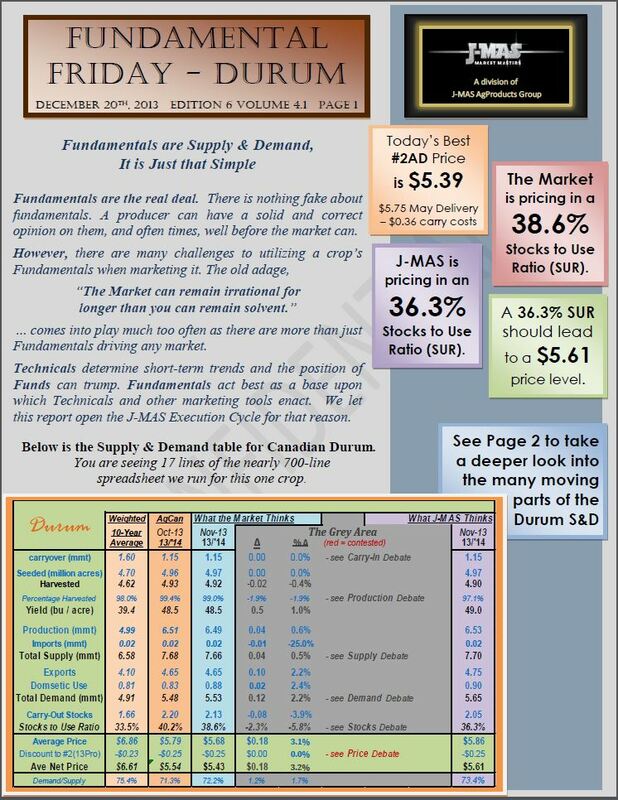 Marketing Plan Monday and Technical Tuesday will be out next week but no Sales Recommendation report.